Since May 31, 2015, I have been a live streamer, prior to which I was a YouTube creator for a year and a half. My YouTube channel had moved from high production videos shot with a camera (not to mention scheduling, shopping, scripting, shooting, and editing), to quick vlogs done directly through an iPhone. It directly affected my YouTube performances, moving from didactic monologues to conversational updates. Live streaming is everything I was searching for and came at the perfect time in my journey as a content creator. My first Periscope stream was similar to everyone’s–hit “Start Broadcast” and see what the thing does. When I finally got my bearings, I decided to bring what I had been doing on YouTube to Periscope. In 2015, my theme song from YouTube found its place at the beginning of my “scopes” with my headshot. In 2016, the theme song is played throughout the broadcast without a consistent open shot as the platform’s format has changed. As people started to enter the “room”, I welcome them in, greeting them by name. The “Romper Room Effect” (based on the children’s television show where the participants wore name tags and were welcomed by name) is very powerful as the most beautiful word in any language is a person’s name. It also serves to create a relationship between viewer/participant and broadcaster somewhat similar to the relationship between teacher and student; remember when a teacher knew your name and saw you doing something not quite right? Chances are you got called out on it by name. YouTube is a monologuist’s dream–one long stream of information coming from one person, no interruptions or conversation. With live streaming on Periscope, there is a conversation (or well, there should be). For me, this is the key differentiator between the two YouTube and live streaming which directly impacts my performance. I thrive off the energy created by the viewers entering the room, the multicolored text bubbles, the sharing of the broadcast, and the stream of hearts. 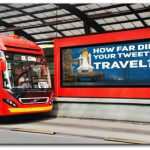 It is this very energy which gave rise to the true character of Ms. Candy Blog. I know a few things about creating characters with two theatre degrees, a professorship and two acting union cards. Prior to shooting my YouTube videos in mid 2014, I had a sense of what I wanted Ms. Candy Blog to be like–and yes, I often differentiated between me and “her” which drove my husband nuts. “She is you,” he used to say. I didn’t think so–there were so many things I wanted Ms. Candy Blog to be and exude that I wasn’t or didn’t have. As I’d been taught in scenic design and costuming, I culled together images on a concept board that I thought best represented what I wanted “her” to be. 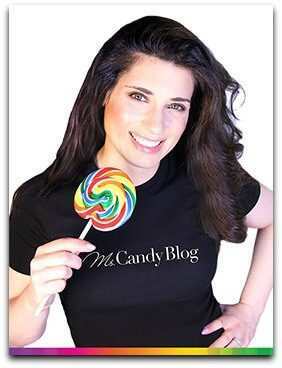 The thought was to make Ms. Candy Blog rooted in fashion and beauty. It wasn’t until Periscope that I came to understand that Ms. Candy Blog is the drag version of me (I’m heavily influenced by RuPaul and his philosophy)–larger than life, quick and sassy, she’s not worried about what other people think and does/says as she pleases. She also gets away with some pretty bold makeup and clothing. All the clothes I threw out thinking, “What the heck am I gonna wear this to? I don’t need this anymore,” could’ve been worn by Ms. Candy Blog. On YouTube, no one wonders where you live and if they do, it’s not going to be one of the first questions you get. On Periscope, for safety reasons, I do not enable the map feature when broadcasting from home (which may cost me viewers) and therefore, I’m often asked where I live. Ms. Candy Blog literally sings “New York City” to the tune of the first phrase of Cheryl Lynn’s “Got To Be Real”. Is it a coincidence it’s a 1978 disco hit? No. I wish I could’ve been a part of that scene and love the music from the era. But coincidentally, as the song is “Got to Be Real”, Ms. Candy Blog is me being 100% real–authentic and transparent through a face full of makeup and a candy fascinator on my head. Having done quite a few candy reviews on YouTube, how was I going to make things palatable for a live streaming audience? I didn’t want to replicate what I was doing on YouTube (essentially showing and telling). Engagement is built into live streaming and if I wanted to hold the audience’s attention, dare I say “delight them”, there had to be a way to involve them in what I was doing. “Candy Reviews by You” was born. The game, played for fun, not prizes, asks audience members to “tap, tap, tap, tap on the screen” and share hearts to vote for the candy they’d like to see Ms. Candy Blog review. You can “vote” for more than one candy. I have seen high engagement around the game with audience members requesting I try the runner up of the night or whinging that their choice wasn’t the winning candy. Something I never could have seen on YouTube was that the audience actually would like to talk with me about their day or have questions about topics other than candy, including me. When doing a Ms. Candy Blog “candycast” as I call it, I am in character and am all about candy so that isn’t the right time or place, but as I found audience members asking me about makeup (What products do I use? ), I decided to do “beautyscopes”. This is akin to seeing a performer in the dressing room, before the show. I even went so far as to get a Ms. Candy Blog embroidered hot pink waffle robe (hot pink/fuschia being the brand hue) and often wore it. The typical Periscope troll comments (“open bobs”—a request to lift one’s shirt) ensued, but the truth is, I run hot and as I sing and dance around when doing my makeup, a robe wasn’t the best choice. One broadcast I showed up in what I like to wear around my house–a Fruit of the Loom/Hanes men’s tank top. It sure made dancing around easier and revealed a lot more of my physique, but it surprised my audience. They’d never seen Ms. Candy Blog in that way–and all I was just doing was what I had been doing for years when getting ready to go out. By peeling off layers, I had revealed me at my core. Periscope and live streaming truly lets me be me as I firmly believe transparency + authenticity = great content. Ms. Candy Blog is “where candy is always in vogue”, a personality driven candy vlog with a focus on candy as it translates to fashion and beauty. With a degree in English, two in theatre and a background in corporate training, instructional design and community management, Ms. Candy Blog has worked for such brands as Google/YouTube, Yahoo!, J.P. Morgan and Citysearch. As a candy persona, she has partnered with such top brands as Hershey’s, Lindt, HSN, Epix, It’Sugar, Sour Patch Kids, Just Born (Peeps/Mike & Ike), Jelly Belly, Torie & Howard, Adams & Brooks (Whirly Pop) and Dorval Trading Company (Sour Power). Her award nominated YouTube channel is part of the World of Wonder network, having received a contract in less than a week of posting a review of the RuPaul candy bar. 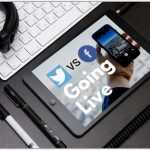 Additionally, she was awarded a contract with Periscope’s first talent network, Lifestream Productions, and placed on 3 top Periscoper lists after her first week on the live-streaming platform. She has trended on Periscope, been featured on GhostCodes, and has been honored by PeriUnion and the BoPoTribe. 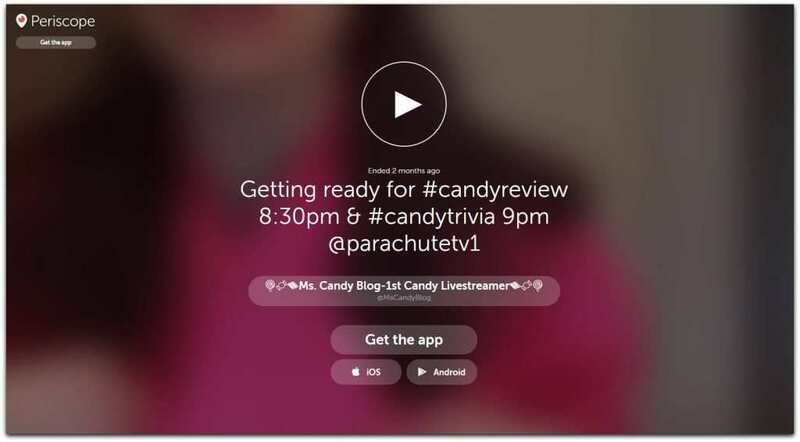 She has partnered with Candy Jar to share candy which inspired her couture for RuPaul’s Drag Con and Arkon Mounts to promote livestreaming gear. She currently live streams on 4 platforms simultaneously and is a regular guest on Facebook Live’s first variety show, The JennyQ Show, Wednesday nights at 9 pm EST.